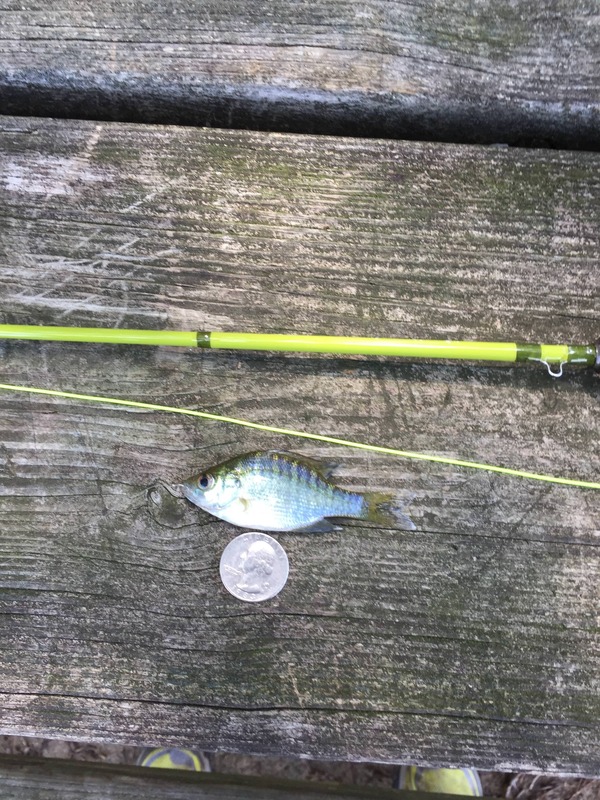 First , I bought this rod to chase Micro fish . 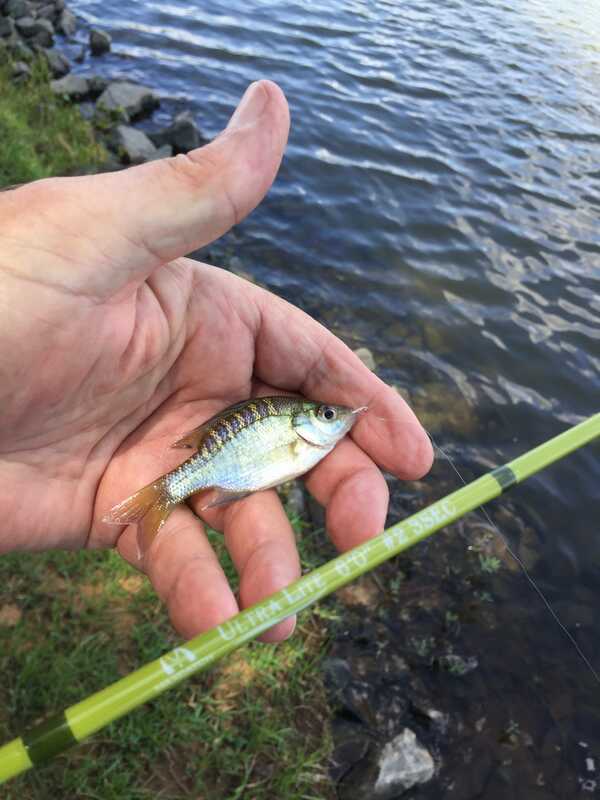 Smaller than most folks fish for . Most who fish for micros use bait . I prefer flies . I started off using a wf3 line as I was making short casts . It did ok , but when I switched over to a 4wf I was able to flip my fly just about where I wanted . I’ve ordered a couple double tapers to try . 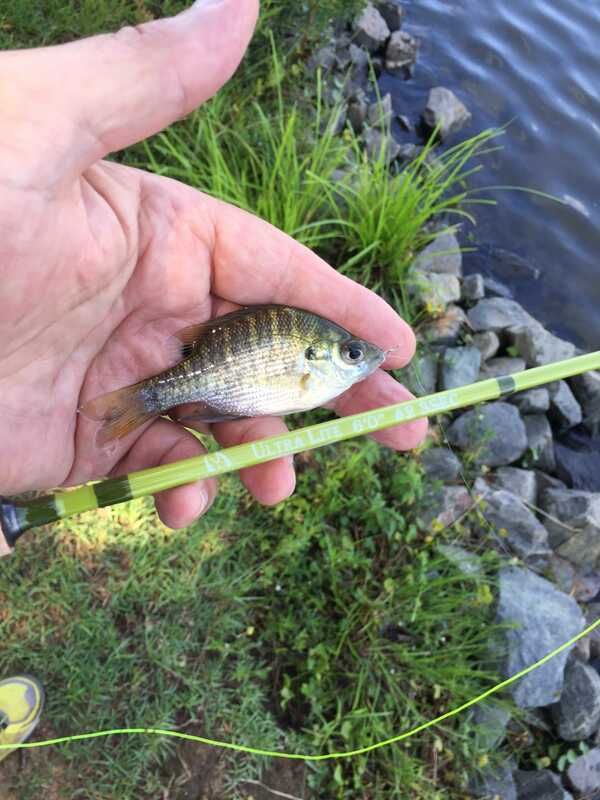 I caught a small bluegill on my first cast . Ended up catching 13 , a bakers dozen in about an hour . Not exactly a bonefish . But Look at the bars on these ! Wow! Those are some beautiful little fish! Nice outfit and catch. 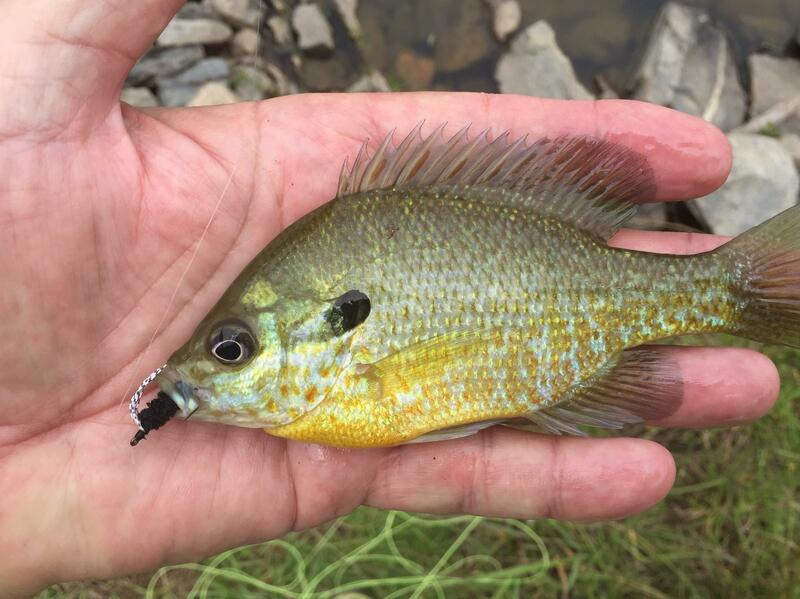 Blue gill are beautiful fish. What kind of flies and leader set up do you use? Thanks , the flies are a size 18 wetfly hook wrapped past the bend with black micro chenille , with rubber micro centipede black/white legs tied in just behind the eye . The legs swim when falling or twitched . Awesome, thanks for sharing this with us. I love my little 1wt. is that all the fish the size that you have shown us were taken home for dinner. all the good breading stock had been removed from this area. Does anyone know what would be the recovery period for BG in any given area? nice pics.....my favorite fish to catch especially on the fly rod.